The financially troubled Paso Robles Joint Unified School District has selected a Fresno County administrator to serve as superintendent at a base salary of $170,000. 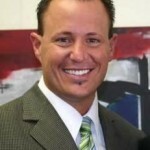 Chris Williams, an assistant superintendent of human resources at Central Unified School District in Fresno, has received an offer to become the next Paso Robles superintendent. The Paso Robles school board is expected to hire Williams at its August 12 meeting to replace Kathy McNamara, who retired at the end of June. The school district is currently in the process of repaying two capital appreciation bonds totaling more than $30 million. It had to issue the bonds in order to raise money during the economic downturn. A 2012 San Luis Obispo County Grand Jury report stated that the district was near insolvency and had to take corrective action in order to avoid being taken over by the state. In turn, the district cut teachers pay by 9.72 percent over a two-year span in order to keep schools operating through this year. But, between 2009 and 2012, McNamara’s salary increased from $161,813 to $182,500. Paso Robles teachers responded by delivering a 97 percent vote of no confidence in McNamara in Feb. 2013. Williams will likely begin with a base salary of $170,000, but the proposed contract calls for his pay to increase 3 percent yearly, so long as he receives satisfactory evaluations. The contract also grants Williams $15,000 to move himself and his family to the area. Did you see where the city manager commented that the reason the filing deadline was extended was because the incumbents hadn’t filed on time? You want to re-elect these clowns who can’t even file their paperwork on time? Really? Pelican1 the current city council will never fire Jim App. I remember one of them commenting they didn’t think he was paid enough? He is not in a voted on position so the ONLY way to get him out is to elect new council memberswho actually care about the direction of the City. If the citizens stay apathetic and don’t vote the old crony incumbents out nothing is going to change. You might want to start encouraging your neighbors to vote? but perhaps the only rival to the “Hill-Gibson” dysfunction at the County Board of Supervisors is Paso City government, where the person who runs the City is blatantly about selfish power and control, and no public vote can remove him. His reign is so tight, no one dare challenge him for fear of losing and facing the wrath of revenge.